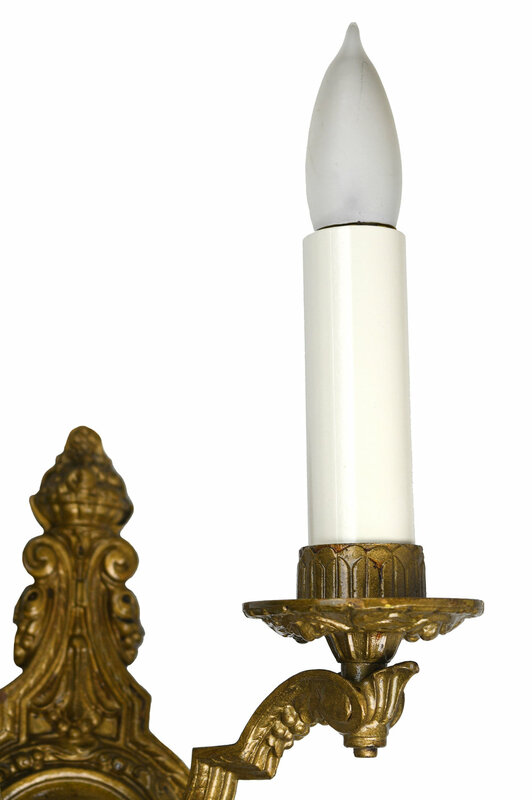 This sconce features an intricately detailed winding floral pattern and handsome cast brass. 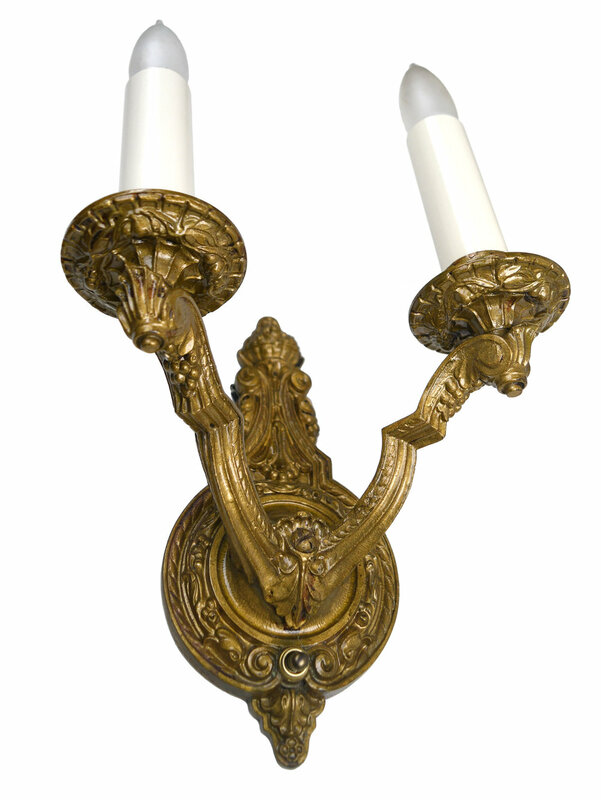 The two arms jut into a 90 degree angle halfway through, adding to the unique design. 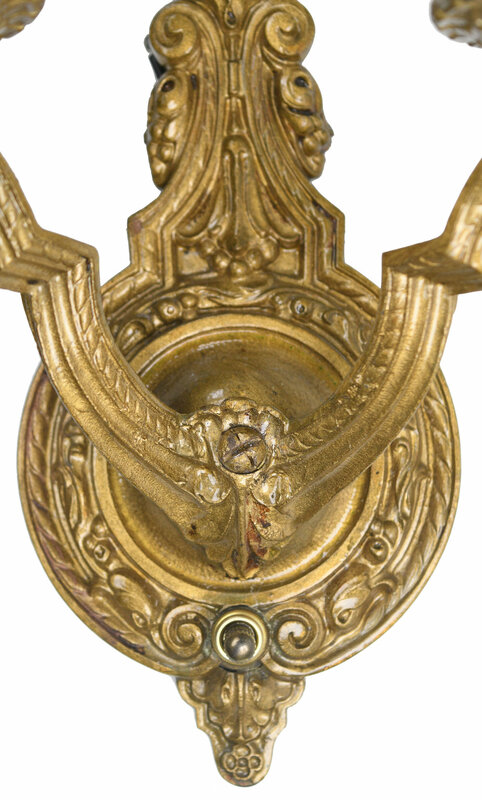 Fruit shapes rest within the twisting patterns adorning the brass. Be sure to include the Product ID AA#48116 when making your offer.